Ideal for caring at home. Quick reset button on main unit. Main unit uses a 6v adaptor (not included) or 4 x AA batteries. Pendant transmitters use one 23A 12v battery each (included). 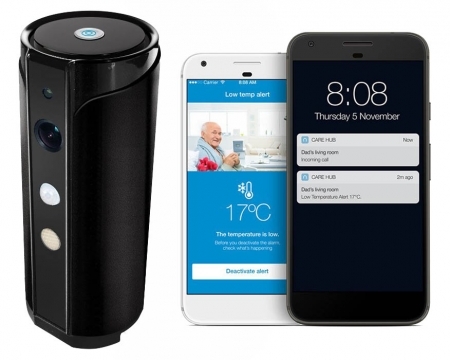 The Home Safety Alert is a simple and cost effective option for someone caring for a loved one at home, it takes seconds to set up and operate. 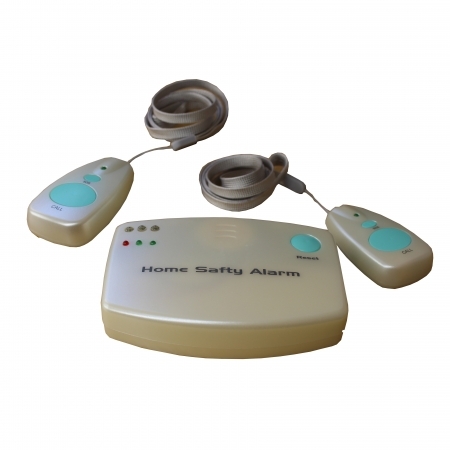 The Home Safety Alarm comprises a central receiver unit and two portable transmitters with a 30 metre range. When the button is pressed, the alarm is activated and the main unit will then signal an alert with both and audible and visual alert showing the carer which transmitter has been used.